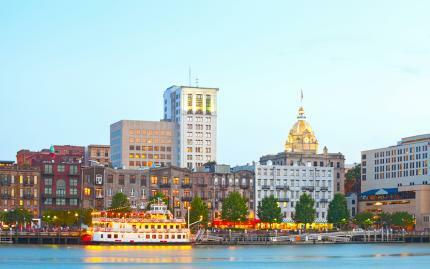 If you want to know the juicy details about Savannah's rich history, go straight to the Sauce! Err, "source". Whoops. Call it a Freudian slip -- we've got booze on the brain. And so will you, with this tipsy tour that features some of the South's favorite libations. You'll stop off at several great watering holes along the way, including Jazz'd Tapas Bar, where you'll solve that whole "drinking on an empty stomach" problem, the Savannah Bee Company, which features delicious meade, and the Pirates' House, where you'll learn about -- you guessed it -- ninjas. No, just kidding. Pirates. Oh, just one more thing. If you can't hold your liquor, feel free to hand it to us. We'll hold it for you. Note: Please inform vendor of any mobility concerns. Ticket price includes the cost of food, beverages, and tips at planned stops.